When your appliances need repair, there is no time to spare. Especially within a restaurant, a appliance not operating properly can result in a backup in production that can cause stress, strain and financial loss. In situations like this, you need quick, reliable and efficient assistance. CASCO is the perfect choice for restaurant service in Sonoma County. CASCO (Commercial Appliance Service Company) has been a trusted repair and service company within the Sonoma County area for many years. They pride themselves in maintaining quality restaurant appliances. Their technicians are all full trained so you can rest assured that you are receiving the best possible assistance. Not only are they knowledgeable, but CASCO technicians are factory trained, so they are familiar with every aspect of the machines, allowing them to provide the best service in the most efficient manner. If you need quick, professional repairs, contact CASCO today. They offer 24/7 emergency services. 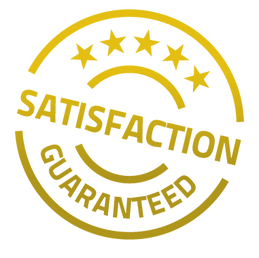 Not only is their service quick, but all of their repairs come with a warranty, so you can be sure that you are receiving quality repairs. You can contact CASCO by phone: (707) 544-5200 or in person: 3200 Dutton Ave. Suite 313, Santa Rosa, CA 95407. You may also connect with them on Facebook. Do not waste any more time; contact the best restaurant service in Sonoma County today.